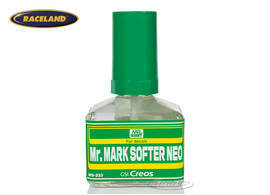 The product "Mr. Mark Softer Neo Decalcote to soften decals" was successfully added to your wishlist. 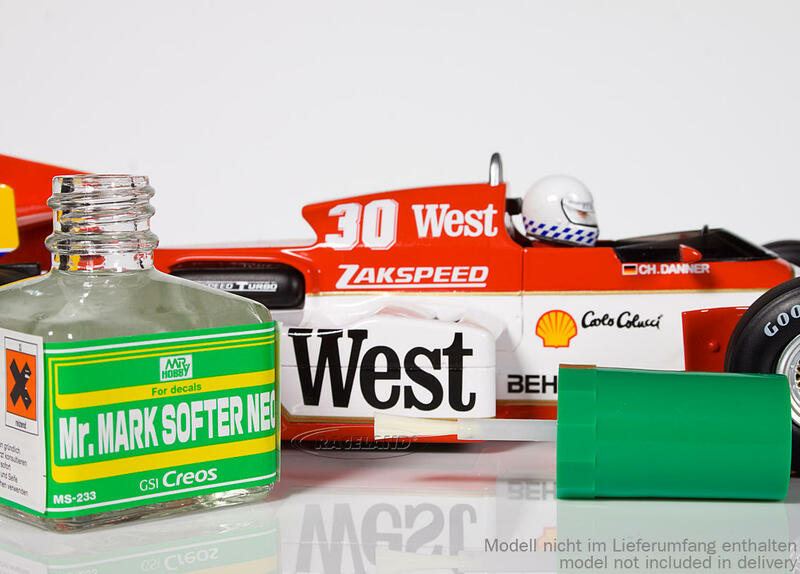 Proven aid for applying decals smoothly on all surfaces. This decal softer will help that decals will cling to any surface of your model without bubbles or folds. 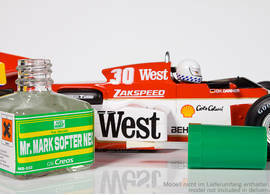 Contents 40 ml.